Russia’s lowest birth rate was recorded in 1999, right after the most serious crisis in modern Russian history, when it fell to a record-low of 1.157. Stagnation in the Russian economy has not affected “the population’s reproductive behavior” and in 2016 families continued to have children despite the crisis. Such is the conclusion reached by experts from the Institute of Social Analysis and Forecast under the Russian Presidential Academy of National Economy and Public Administration in a study that has been made available to RBTH. According to the insititute’s data, in the first six months of 2016, the birth rate in Russia remained at approximately the same level as in the previous two years. According to Russia’s state statistics agency, Rosstat, the number of babies born in this period was in fact 1.6 percent higher than in the same period last year. 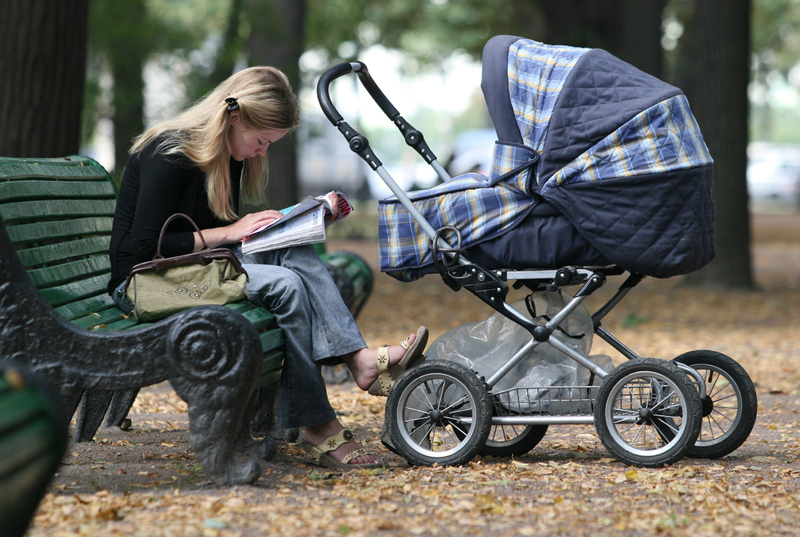 At the same time, 15 percent of Russians said they would postpone having children if they lost their job. “The current crisis, like the 2008 financial crisis, is not strong enough to affect people’s desire to have children or their timing,” said the author of the study, Alla Tyndik, who heads the institute’s laboratory of demographic, migration and labor market research. Most families, Tyndik told RBTH, are affected by the crisis in the form of higher prices and lower incomes, which they have already adapted to. At the same time, unemployment – a far more significant factor – has affected few people, she added. According to Georgy Vashchenko, head of Russian stock market operations at the Freedom Finance investment company, people “do not consider the situation in the economy to be an acute phase of the crisis and have adapted to the current conditions.” He added that the state continues to provide costly forms of social support to families, including mortgage subsidies. Timur Nigmatullin, a financial analyst with Moscow investment company Finam, sees one of the main reasons behind the unflagging birth rate in the rise in the amount of residential housing made available in recent years. “With that process in place, the birth rate, as a rule, rises with a lag of several years, irrespective of real incomes or the overall economic situation,” he said. For example, Nigmatullin continued, in 2013 construction in Russia grew by 15.5 percent, to 69.4 million square meters; and in 2014, by 14.9 percent, to 81 million square meters. This is what has helped maintain the birth rate and even pushed it up, he said. The overall rise in the birth rate is also due to the birth of second children, explained Alla Tyndik, who said the process has been going on since the mid-2000s and is making up for the losses created by the long-term negative effect of the 1990s. “Women have their second child when they are 30-35, and this is a numerous generation,” said Tyndik. According to her, modern Russian women will, on average, have more children than those women whose reproductive years fell in the 1990s and early 2000s. According to Rosstat data, in 2015, the birth rate as the average number of children born to one woman rose to 1.77. In the first six months of 2016, this figure rose to 1.83, Russian Minister of Labor and Social Protection Maxim Topilin said (in Russian) earlier. At the same time, analysts point out that even the current higher birth rate is not sufficient for the country’s development. “For simple reproduction of the population it is necessary that the average number of children per woman is at least 2.2. Thus, even the figure of 1.83 does not give us sufficient dynamic,” said Sergei Khestanov, a microeconomics adviser to the managing director of the Moscow company Otkrytie Broker. Therefore, he continues, the demographic surplus in Russia currently comes mainly from the migration influx rather than from the native population. In the first six months of 2016, Russia saw a natural population decline of 32,200 people, half the figure for the same period in 2015.